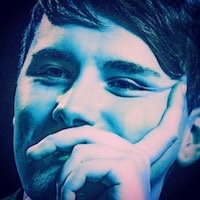 Hello and welcome to the official In-Depth Bants FAQ page for all things related to Dan and Phil! Felucca and I have revamped the old GG FAQ, added many more questions/answers, and just generally made it worthy to be posted on IDB, and here it is! Each post is its own thread. These threads will function as the "official" IDB FAQ, and will be locked. But please don't take the fact that these threads are locked as an indication that the FAQ is "finished" or that we wouldn't welcome more posts! We would be thrilled if anyone wanted to submit their own FAQ posts, or make any suggestions for things that could be added to the current posts!! If you have any additions or submissions, please use the FAQ discussion thread! We'll be able to move them over to this thread after we've reviewed them. Anyway, for now, we hope you enjoy all the work we put into this, and find it entertaining and informative! Please post your thoughts, questions, comments, corrections, etc. here in the discussion thread! And on behalf of all the IDB mods and admins, thank you so much for 1000 members, and here's to 1000 more! Last edited by lefthandedism on Tue Jul 03, 2018 2:22 am, edited 2 times in total. Update! Each post has now been moved to its own thread, to ease navigation and loading. Please see the FAQ forum homepage for links to all the FAQ questions! Last edited by lefthandedism on Tue Jul 03, 2018 2:18 am, edited 1 time in total.